Miss Jamaica Universe Davina Bennett, the second runner-up in the recently-held Miss Universe pageant, couldn’t hold back tears on Tuesday after her mentee was able to hear her clearly for the first time. Britney Barnes, the face of the Davina Bennett Foundation for the Deaf, was fitted with a hearing aid in an initiative by the Starkey Foundation in association with the Digicel Foundation. “I am Britney’s mentor and model coach since January… Britney is the reason behind me starting my Foundation for the deaf,” a teary-eyed Bennett. “Since I have been back from (the Miss Universe pageant in) Las Vegas, this is the best gift I have received,” Bennett said. 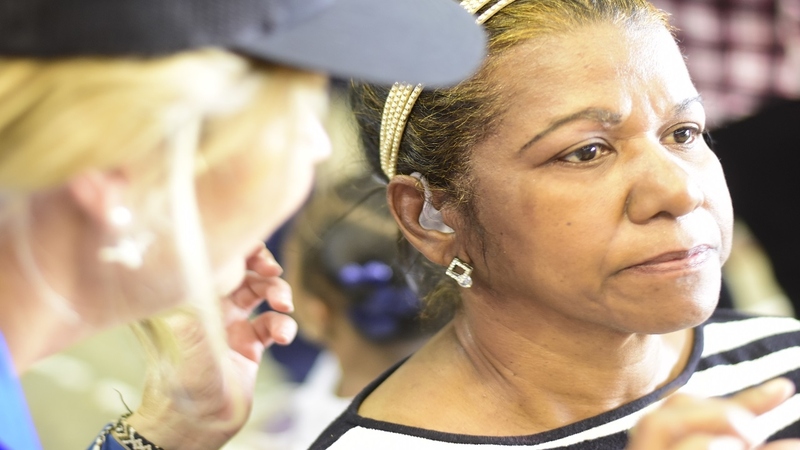 Over 800 hearing impaired individuals were fitted with hearing aids at the function held at the University of the Technology in Kingston. 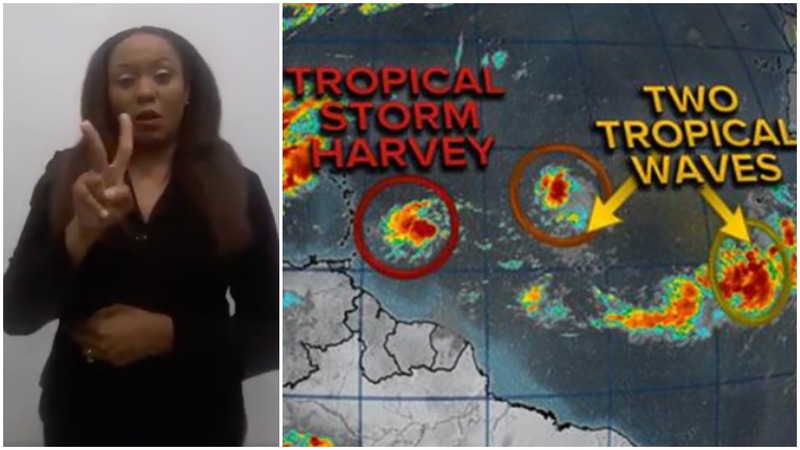 Member of Parliament Juliet Holness and businessman Rohan Marley were among the guests. Barnes is among the deaf models signed by Sway Caribbean Agency, which is run by Jermaine Dyer, a close friend of Bennett. Dyer, in an interview with Loop News’ reporter Job Nelson said, “Sway is an agency that we created to make a difference in the society. Our main aim is to empower young people and, this year, we started with our first deaf model, which is Britney Barnes, who is the face of the Davina Bennett Foundation for the Deaf. Since then she has landed a job for the Universal Service Fund. “We don’t really look at people who are a part of the ‘normal society’; we wanted to focus on people, who would not normally get the regular opportunity afforded in the industry,” Dyer, the CEO of the agency, said. According to Dyer, Sway has been creating a name for itself on the international scene. He said Bennett, the present executive director, will soon be co-CEO of the modelling agency. 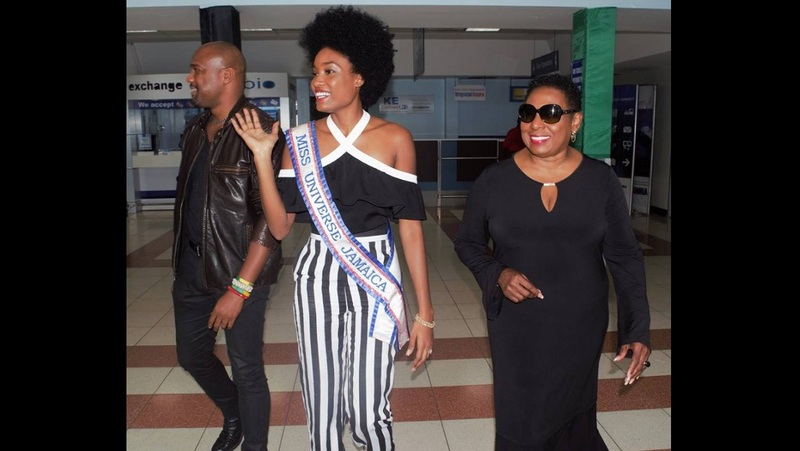 Bennett was a crowd and Internet favourite at the recently concluded Miss Universe contest. See photos in slider below.